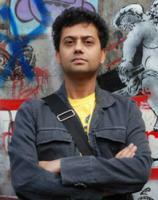 Neel Mukherjee was born in Calcutta. He is the author of A STATE OF FREEDOM; A LIFE APART, winner of the Writers’ Guild of Great Britain Award for best fiction, among other honors; and THE LIVES OF OTHERS, which was shortlisted for the Man Booker Prize and won the Encore Prize. He lives in London.